Sam Shamoun has two videos and a couple of posts on his blog critiquing Inglesia Ni Cristo arguments that Jesus is not God from the James White debate with Iglesia Ni Cristo apologist Joe Ventilacion. It’s worth praying that God would use these resources knowing that this group is the third largest religion in the Philippines. It is very true. We cannot have a pick and choose approach towards the Bible. We can easily fall into this error even when we confess publicly and know that this ought not to be. This is why I think every local churches’ regular staple of Sunday preaching ought to be expository preaching which is contextual preaching that gives attention to the flow of the context. The nature of expository preaching with its way of verse by verse teaching forces one to see what God’s counsel has to say helps us to minimize the danger of picking and choosing specific aspects of the Bible while ignoring the rest. For those who are interested here’s Veritas Domain’s Hermeneutics Series: Course Level One, Two and Three. This Memorial Day I took a bit of a personal memory lane. A part of that was recalling other past Memorial Day. 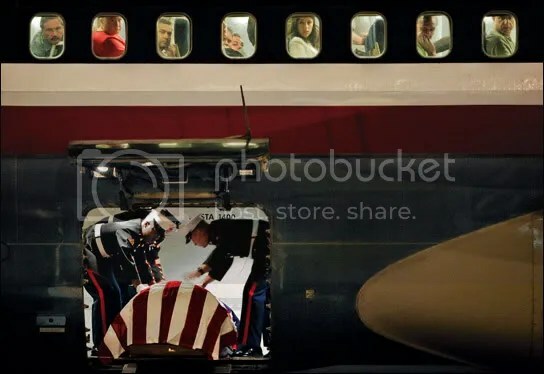 And it got me thinking about one of the most powerful coverage on American service members’ death and their body coming back to their family that I have ever read titled “Final Salute,” a photo essay by Jim Sheeler of the Rocky Mountain News. It was the winner of the 2006 Pulitzer Prize. I don’t know when it happened but my old link to the PDF that Rocky Mountain News posted no longer works but I found a way you can still see the photos and read the story here. If you haven’t seen and read this before, you got to do it. Sunday Morning Motivation for Preachers: Be Worthy of Your Wages! It’s Sunday Morning. Here’s a little motivation for preachers before you enter your pulpit from the Word of God. The elders who rule well are to be considered worthy of double honor, especially those who work hard at preaching and teaching. 18 For the Scripture says, “You shall not muzzle the ox while he is threshing,” and “The laborer is worthy of his wages.” 19 Do not receive an accusation against an elder except on the basis of two or three witnesses. Note in verse 17 that Paul’s intention in writing this is so that those who serve in the church as Elders/Pastors to “work hard at preaching and teaching.” Verse 18 tips us that he’s going to give us the reasons for this with the use of the word “for” which shows the motivation. I want to look at one of the motivation for this Sunday and Lord willing another next Sunday. It’s Memorial Day Weekend. If you are looking for some good books to read over the three day weekend here’s my recommendation from among all my readings of things military and military history between 2016-2017. The only exception in the list is the first book which I read in 2013 but remains among the top book I think of when someone I think of a quality work. I picked these books on the basis that they made me appreciate what those in the military have done. Each book is linked to my original review. Let me know which ones sound interesting to you or there are other books you would recommend! This is a story of a SEAL Team Six operator who is also a Christian man. He was killed in action before the Bin Laden raid. The story of his faith, his battle with sin and his courage is very moving. As shared by the author at the end of the book Adam Brown’s life moved the author to reconsider Christianity. Two double standards I want to note. It’s like they don’t notice the double standard. Most of the time how the second premise (“Hitler is a Christian”) get brought up in the conversation is part of a moral objection against Christianity (“Christians have done a lot of evil in history! Hitler was a Christian!”). Of course that objection in of itself is not without its problems. For instance I think those who make such a charge haven’t taken into consideration Hitler was a politician; we should study more carefully Hitler’s beliefs when he was a nobody and when he was in full power which often suggest’s Hitler’s more genuine beliefs when he was less susceptible to the need to appease people for their support. A great book that explored Hitler’s worldview is the work Hitler’s Philosophers by Yvonne Sherratt. Hitler is no Christian once one understand his worldview. Ironically when some progressives hear Christians talk about radical Islam suddenly these terrorists aren’t true Muslims because Islam is peaceful and these “jihadists” are doing things that goes against the Quran.